Detail from St. Martha's House annual report. Caption: "They Teach Us to be Americans." 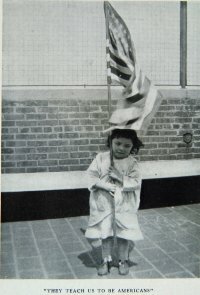 Girl holding American flag.